The 25-year-old Brazilian Jiu-Jitsu phenom Dillon Danis who made his MMA debut at Bellator 198, began working with former two-division champion Conor Mcgregor ahead of brash Irishman’s UFC 202 rematch with Nate Diaz. Since then Dillon has become a figure on social media, firing shots at fighters getting into a beef over Conor Mcgregor and caught himself into weird situations. Many have attributed that Danis’s rise to fame hiked after he started emulating McGregor, his dressing code and behavior. Also, Danis is a grappling coach to Irishman, helped Mcgregor ahead of his Khabib ‘Eagle’ Nurmagomedov title fight at UFC 229 last October. Brazilian was so confident he went on record and said McGregor would defeat Khabib- huh that didn’t work out as Irishman went on to lose the title fight via fourth-round submission. 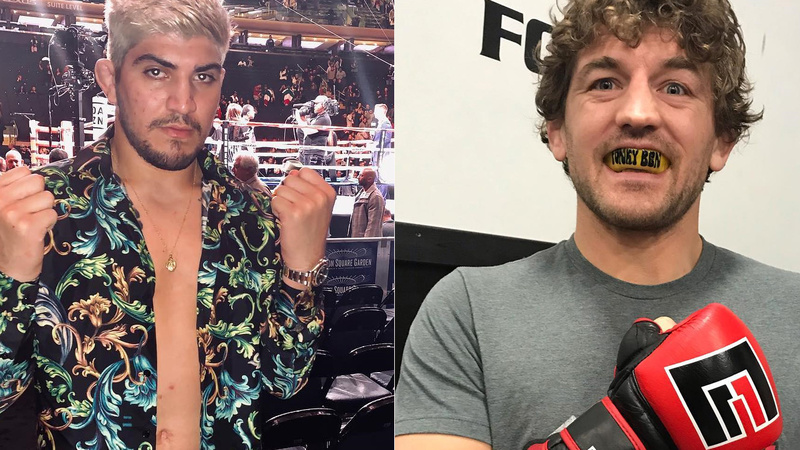 Earlier today Dillon Danis took to Twitter and put out an interesting theory, on that Ben Askren ripped him pretty nicely. Since joining a UFC ‘Funky‘ has been beefing with everyone on social media regardless of the weight class. A former Bellator MMA and ONE Championship champ are currently slated to meet Robbie Lawler fight at UFC 235. What do you think of Askren’s comment on Danis?